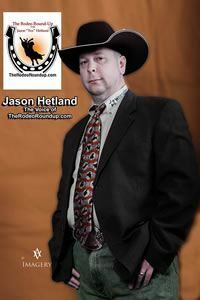 Jason Hetland – Professional Rodeo Announcer and blogger. Lives in Minnesota. TheRodeoRoundup.com is his pride and passion. This is a place for him to share his knowledge and love for the sport and the people who make it happen. He is respected within the rodeo community and will often be the first with breaking news. Jason is a wounded Military Veteran. 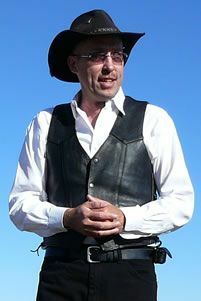 Mark Anthony – The Rodeo Roundup.com’s Webmaster. Originally from Minnesota, now residing in Las Vegas, NV. Mark runs the mechanics of the website and help keep the wheels from falling off! Mark and his wife Debbie run Tour Talk Media. A boutique Video Internet Marketing company specializing in helping market and promote businesses and brands on the Internet.